High winds would be a bit of an understatement. I grabbed this screenshot from last night*. At those wind speeds you could become airborne from a standing start. 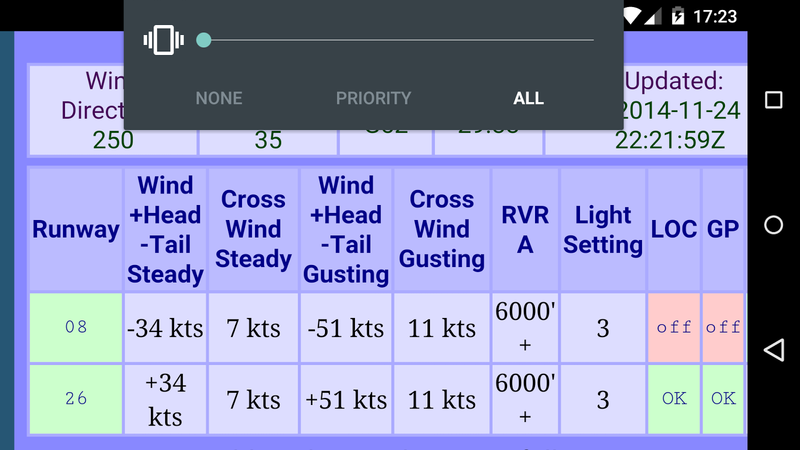 The upper winds were a more-than-sporty 70 + knots. I tried to explain to K how we could end up flying backwards at those wind speeds. On a more serious note at least one local airport had some serious damage to some of their hangers and planes. Luckily D’s plane was unharmed; apparently the FBO had someone there all night ensuring that the tie downs held. *apologies for the volume bar, I still haven't gotten the hang of screenshots on this phone.